Nice article again! 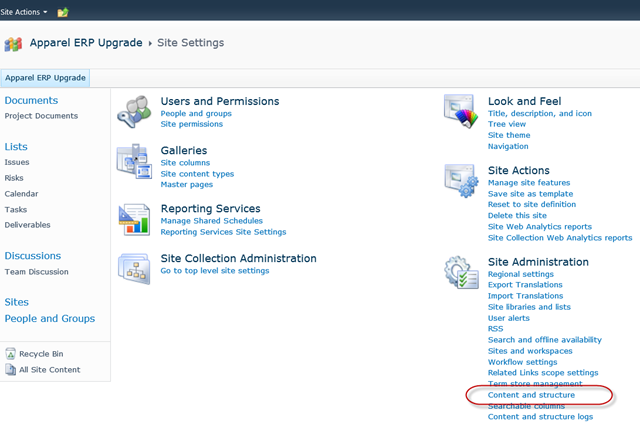 How about the error caused by creating additional Issues and Risks lists using the issue tracking template from SharePoint. This will cause a 1100 error, if i remember correctly. The only solution seems to be to “Custom List” template to begin with and then save it as a template to be used for all new issues and risks lists. Yeah – what’s tricky is that there is a default SharePoint Issues list and a Project Server Issues list – and those are different list types. A common approach is to simply go Create List > Create Issues List, which Project Server won’t recognize. Instead, you have to turn off and back on the Project Server feature to provision the correct Issues list. Very nice Andrew – these are some great tricks! A very nice and detailed article on SharePoint’s sync errors. And every job is in the state of “Waiting To Be Processed”. After reading this article, I feel that this is because we have also customized few columns (Issue Type, Status, Priority, Category) of Issue lists on 4 different sites. Whereas after modifying these are 6 different values. So do we need to restore the original values of the Status field also? 1) Restart the Project Server queue service on the application server. 2) Rebuild the reporting database. Both procedures are documented online. If the issues addressed in this post were observed, they would be cancelling in the queue, not waiting to be processed. Nice article – very helpful. I have the same problem with pushing data from published to reporting, but i couldn’t find the same errors in my ULS log. Is it possible to contact with your for a few questions about it? Feel free to post questions on this blog…thanks. This is really helpful. One question though: I created a workflow on a list at the project site template. I’m thinking this messed up my connected Tasks list as the Tasks list is now editable. How can I make it connected to PWA again? Or do I have to start over? Did you create a second task list? In fact your workflow would have created one. That’s probably the issue. It syncs with the first task list it finds by alphabetical order. is there any way to synchronize data on the state of workflow projects from the Publishing database to the Reporting database? I’m trying to link Risks and Issues. I am able to link to tasks, documents and the current list im in: Issues or Risks. However, I get an error whenever I try to link across Issues and Risks in particular. Thanks a lot for great article! It was really helpful in resolving the error for project crashes. but just one correction 1100 is for Issues and 1101 is for Risks. Hi Andrew, have you encountered the “Link” field issue with the document Library, as the site features option does not recreate the Linked Document Library again, and I’m not sure how to fix that. Any Thoughts will be most appreciated.